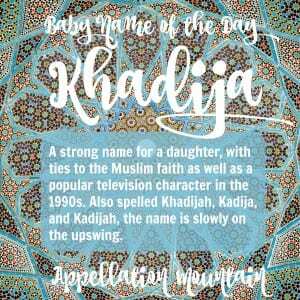 Khadija is a name with history galore, perhaps as spiritually significant as Mary. Thanks to Khadija for suggesting her own name as our Baby Name of the Day. The name means premature child in Arabic, but that’s not why it has such a long history of use. The couple married in 595. Muhammad wasn’t her first husband- she was a widow. And this is where her story gets really interesting: Khadija became a merchant in her own right, and a successful one, too. She was known for her generosity to the poor, and support of her extended family. The couple met through work – Muhammad was hired as an agent for Khadija’s trade caravans. Muhammad conducted trade on her behalf, bringing home more profit than expected – but also winning the trust and respect of his colleagues. The wealthy widow was a catch, and it soon became clear that there was more to Muhammad than business acumen. She proposed marriage to him. The couple married and had six children together. By 613, Muhammad was preaching in public, with the support and encouragement of his wife and other early converts. 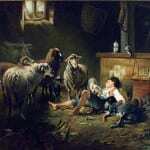 Her considerable financial resources supported his ministry. The name has remained popular in Muslim communities over the centuries. In the 1300s, a Sultana of the Maldives by the name became one of the first women to rule an Arabic kingdom in her own right. It’s also recorded as Hatice in Turkish, and the name appears in the historical record, too, including two wives of the seventeenth century Ottoman Sultan Ibrahim I. Centuries later, Louis Eugene Wolcott converted to Islam. His wife, born Betsy, took the name Khadijah. Louis Farrakhan became head of the Nation of Islam in the late 1970s and remains its leader today. The name was slowly gaining favor for newborn girls in the US during the era. 1965 was the first year that five girls were named Khadija. It’s gained steadily since then, and 163 girls were given the name in 2014. 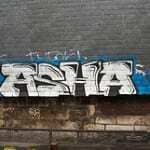 The -dijah spelling of the name was first given to five girls in 1962, surged into mainstream popularity in the 1990s, and was given to 109 girls in 2014. Simplified spellings Kadija and Kadijah have also seen some use. Until the 1990s, Khadija remained a choice for parents seeking a distinctive name either to express their identity as Muslims, or to convey pride in African American heritage. Forty years ago, the fringes of the US Top 1000 were filled with similar names: Amir, Jameel, Tarik. But then came 1993’s hit show Living Single, a FOX sitcom that would run for five successful seasons. Queen Latifah played magazine editor Khadijah James. James was a wildly popular character, and boosted her name, too. Khadijah debuted at #545 in 1993, rocketed to #184 a year later, and left the rankings after 1997. With the sitcom now more than twenty years old, it’s not unusual to meet a woman by the name. But interestingly, the numbers suggest that both the -dija and -dijah spellings are on the rise again. 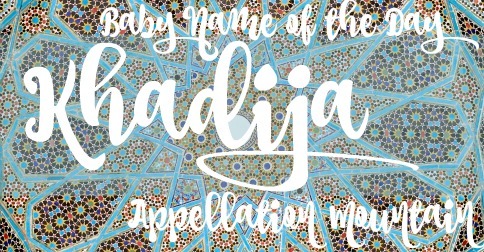 If you’re looking for a name to celebrate Muslim or African American heritage – or both – it’s almost inevitable that Khadija will be on your radar. It’s a big name, with as impressive a story to live up to as Eleanor or Isabella, and that’s exactly what many parents seek for their daughters. What do you think of Khadija? Have you ever met anyone with the name? Oh wow! Thank you Abby. I was away on holiday but thank you so much! You’re welcome! It was fun learning more about your name – it’s just gorgeous. I had a friend in my early elementary school years (1st or 2nd grade) from Saudi Arabia named Khadija. For a girl from Oklahoma, this was unbelievably exotic and cool! Interestingly, I now know a Hatice who’s from Turkey. I had no idea the names were related. Thanks for this post! I’m neither Muslim nor African American, but there is something about this name that’s very intriguing. Maybe it’s the consonant cluster in the middle that doesn’t appear very often in common English names, or maybe something else. I wouldn’t use it for my own daughter, but I would be delighted to meet a little Khadija(h)!